This elegant designs uses wintry evergreens as a backdrop to the striking Casa Blanca lilies, white gerberas and shocking pink roses. 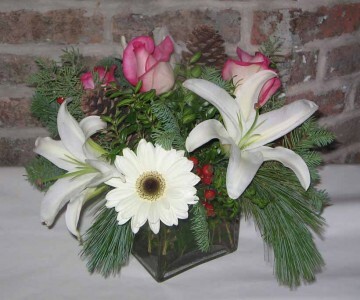 Created in our cube vase, this design would make a wonderful centerpiece for your holiday table. 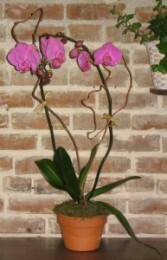 Call and speak with one of our designers. 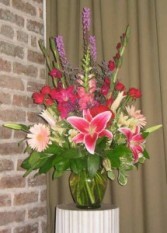 We would be happy to create just the right centerpiece for your decor.